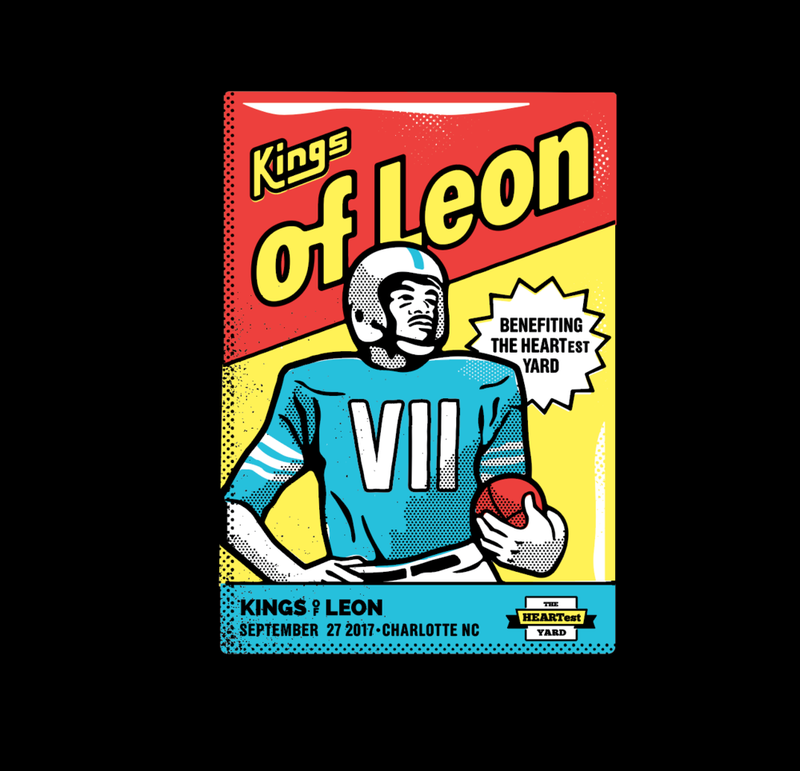 I worked with Greg Olsen and his charity, the Heartest Yard to create a commemorative shirt for the Kings of Leon Charlotte show. A portion of ticket and sales from merch went towards the charity, helping out kids with congenital heart defects. It was a great chance to work with talented folks doing good.